Cool and Unique Bar Stools to have at Home! My Top Favorite Cool and Unique Bar Stools to have at Home! As you probably know already I LOVE to find cool and unique furniture for sale and today I decided to search for cool and unique bar stools to have at home! They are perfect to have by your kitchen counter top and also great for extra-seating! 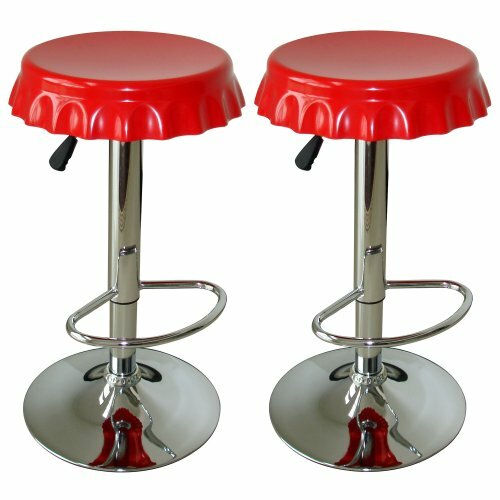 *I did say ‘Wow’ when I saw these fun and very unique red soda cap design bar stools for sale! I hope you also have fun here today and find a cool set of bar stools for your home too! 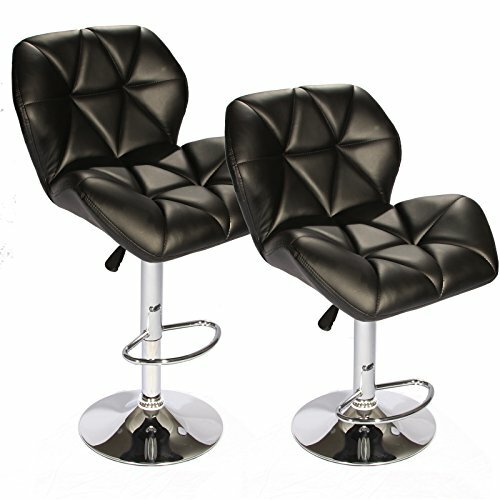 If you are looking for stylish and comfortable swivel bar stools for your home I think you are going to be very pleased with these! Don’t they look absolutely amazing? 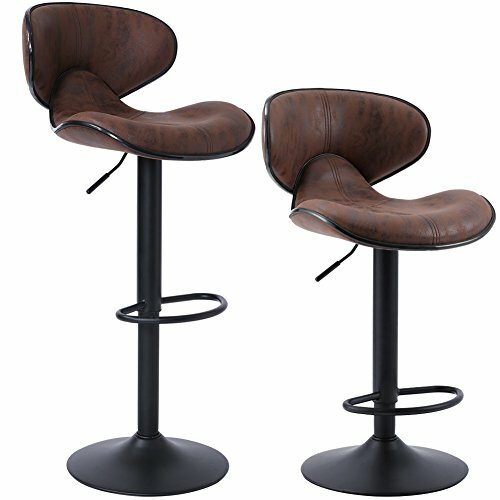 I love the fact that these cool and comfy bar stools also have back support! They are also available in brown, red or white! 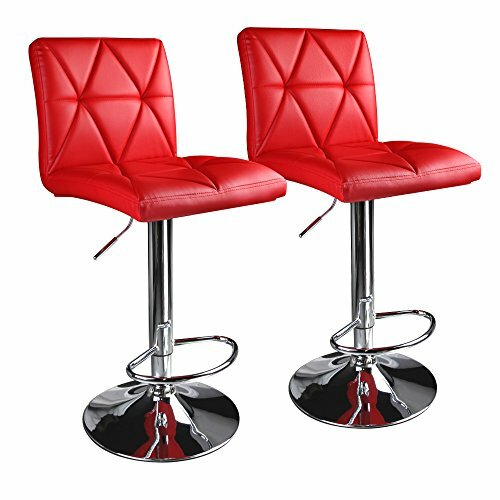 Comfortable Bar Stools in RED! My favorite bar stools need to be not only cool looking, colorful and unique but also comfy to sit on! These fit the bill perfectly! 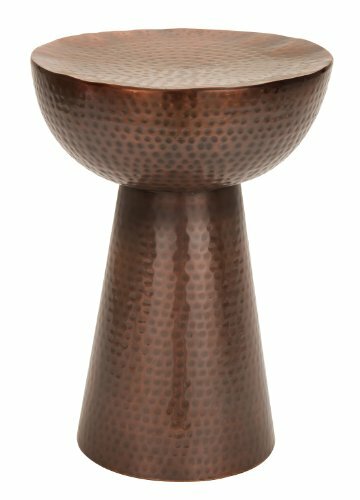 Looking for cool and unique bar stools for your home? Then these might be the ones! 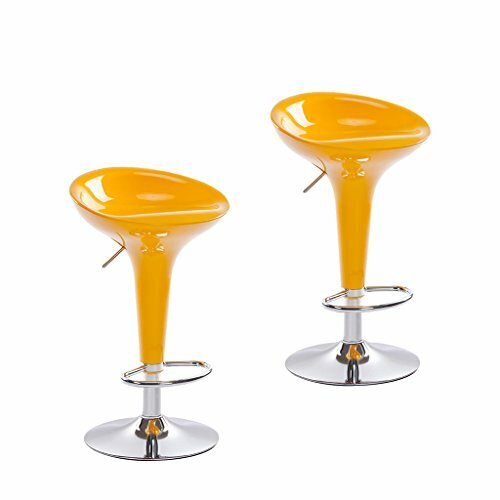 A fun set of bright yellow color swivel bar stools for sale! 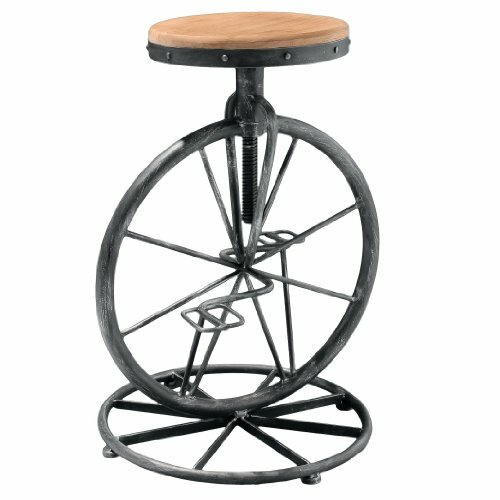 Very Unique Bicycle Wheel Adjustable Bar Stool! 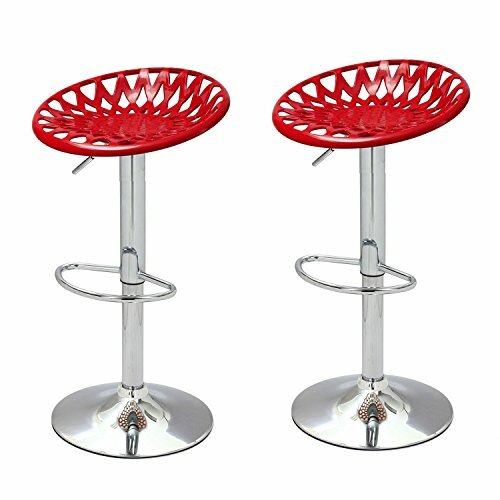 If you are looking for the coolest bar stools for sale that will ‘Wow’ your guests when they see them, how about a fun and definitely unique bicycle wheel bar stool? It even has the bicycle pedals! The Most Fun Bar Stools for Your Home! How fun and cool is this metal bronze bar stool for sale? It also has a cool texture! 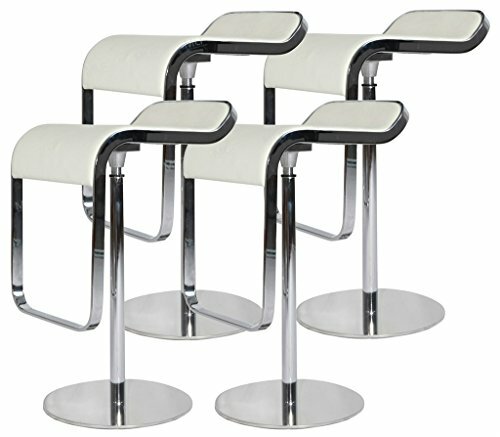 You will get four ultra-modern steel frame with hydraulic piston high-quality Italian leather upholstery bar stools! Another set of cool and modern gorgeous looking bar stools in a beautiful retro brown color! They are also very comfy to seat on and easy to wipe clean! They swivel 360 degrees and the height is adjustable. Very Cool Tractor Seat Style Bar Stools! I Love Colorful Bar Stools! 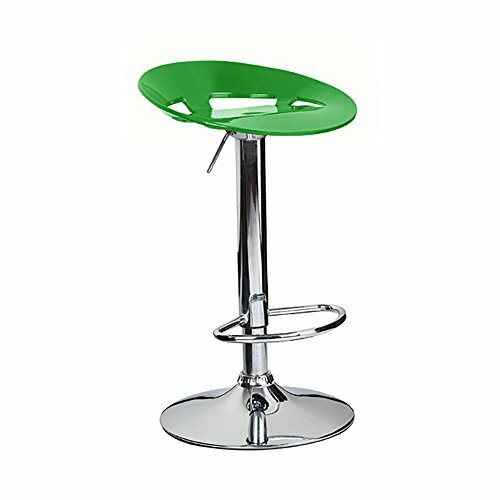 If you are looking for fun and colorful tractor seat style modern bar stools for sale, how about these? They are also super easy to clean since they are made from ABS and metal. 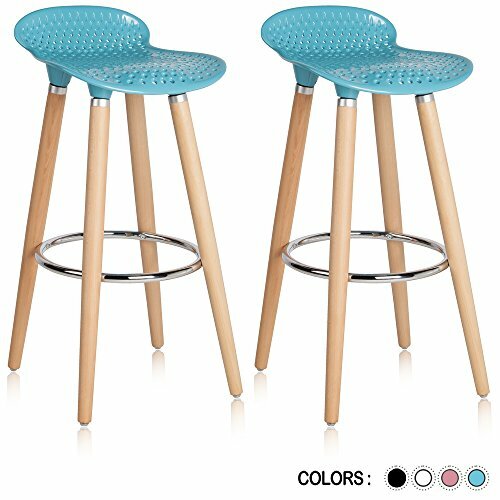 I also LOVE these sky blue color ultra-cool and modern plastic bar stools! Fun Green Color Bar Stools! Hello, green color lovers! These are for you! What a cool and FUN pair of modern kiwi green color bar stools for sale! Perfect to add a nice splash of colors to your kitchen/dining room area! *I hope you enjoyed my selections of unique bar stools from this page!